The Defiant was the third RAF monoplane used in the Battle of Britain and was radically different to other fighters as it carried all its armament in a revolving turret. The idea was to free the pilot from aiming the guns so he could concentrate on flying. Initial dogfights with German fighters were successful as the Germans mistook them for Hurricanes and attacked from behind. The Germans were surprised to find a hail of machine gun bullets flying back at them and suffered some losses. The Germans quickly learned that the Defiant had no forward firing armament and after that the faster more agile ME109’s made mincemeat of the Defiant. 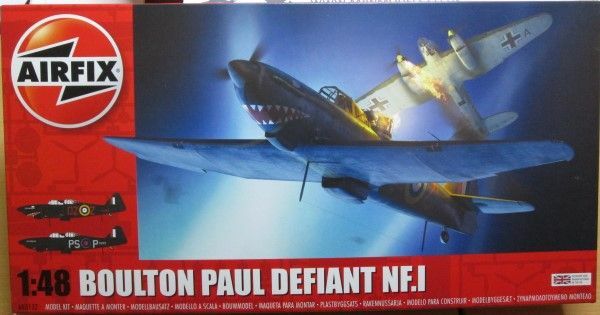 The Defiant switched to night fighting at which it was better suited. 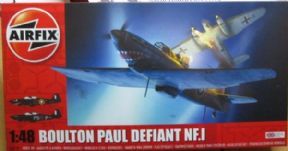 The Defiant was phased out when bigger and better equipped planes such as the Beaufighter and Mosquito took over the night fighter role. Markings are provided for 2 RAF Defiants.